Businesses and individuals like inventors, scientists, writers, and creative artists own intellectual property such as trademarks, copyrights, patents, and trade secrets like customer lists and business procedures. In today’s world of information, the most valuable assets of a company can be its intellectual property assets. The attorneys at White Arnold & Dowd P.C. have successfully resolved cases protecting the intellectual property rights of its clients, ranging from individuals to pharmaceutical companies to tire manufacturers. 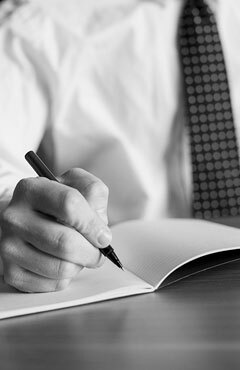 Our attorneys have the litigation experience to assist intellectual property owners in protecting their rights. Intellectual property litigation is complex. IP is, by definition, novel, creative, and intangible. Patent infringement is particularly challenging because of the underlying science and technology associated with inventions. Our attorneys are experienced litigators who are well equipped to handle the inherent complexities of litigation related to intellectual property rights.